The base folds in half for easy transportation and can be filled with water or sand for stability. The Wind Dancer is easy to transport and set-up and can be assembled by one person, without the need for any tools. Includes a 740gsm double-sided PVC banner with eyelets for fixing. Replacement graphics easily ordered and installed. 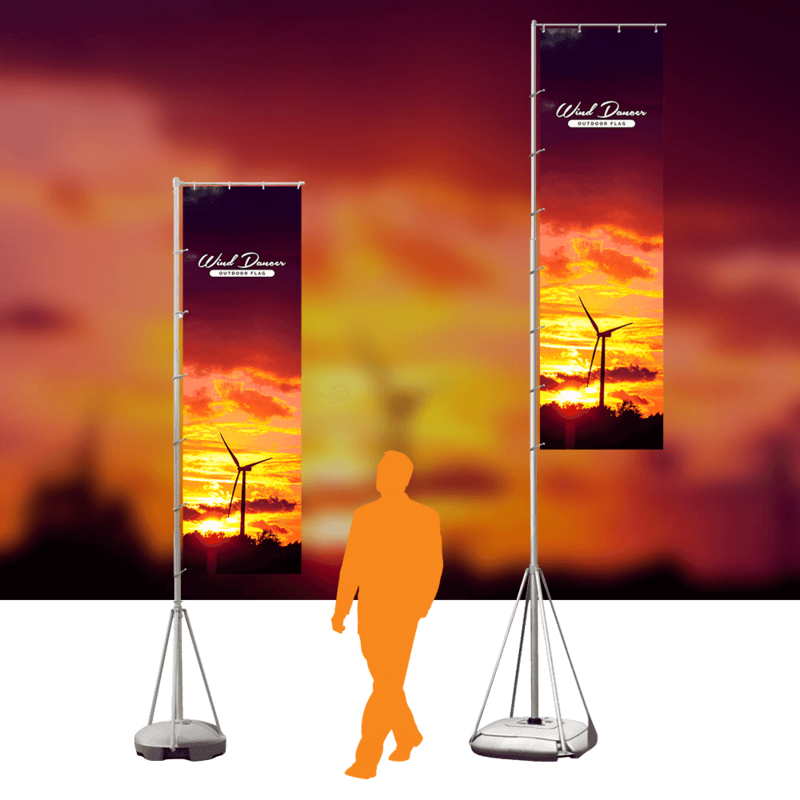 As this product features a double-sided graphic, two separate designs can be supplied (one for each side) at no extra cost.